Saving Brittanys Across The Great State Of Texas! 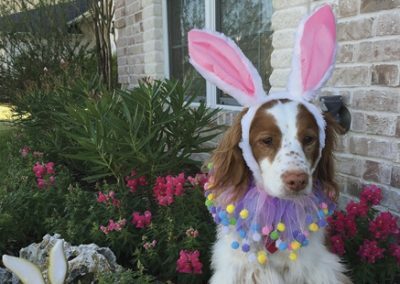 Need to rehome your Brittany? 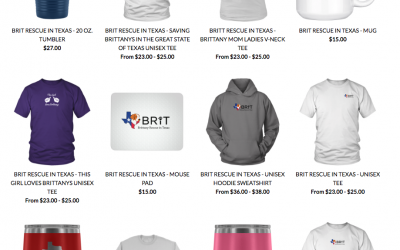 BRIT Merchandise – Shop the Dog Store! 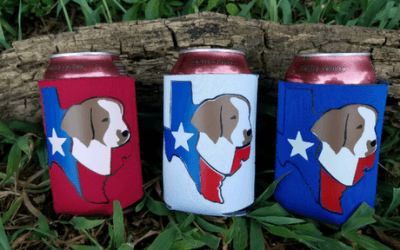 We have a limited number of these adorable BRIT Koozies available. Get your’s today! 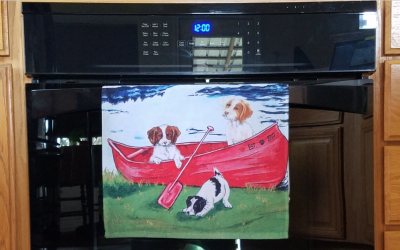 Price: $12 with FREE shipping! Thank you so much for you application! Please allow us a few days to respond. 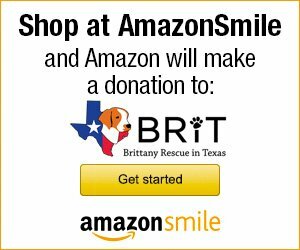 We are small volunteer-run organization and we spend many hours each week transporting Brittanys across The Great Big State of Texas. As you can imagine it is difficult to read through and respond to applications while on the road. 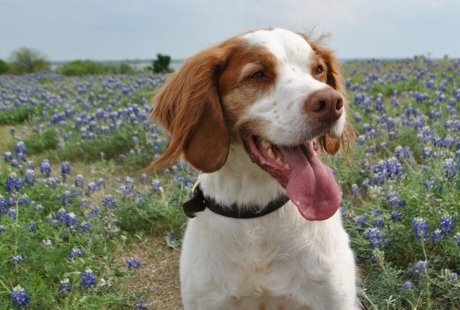 The Brittany I applied for was already adopted. What do I do now? Check back often! 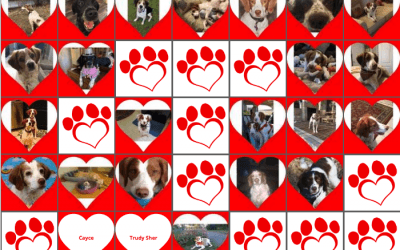 We take in numerous Brittanys who need loving forever families just like yours. Please note: we do not adopt on a first come/first served basis. 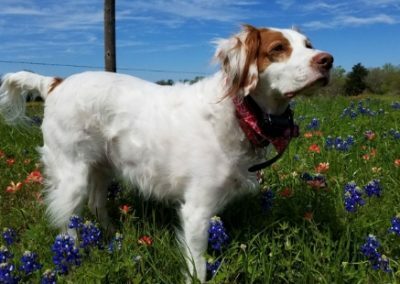 Instead we take the time to get to know both you (via the application, telephone interviews, and home visits) and the Brittanys we rescue (via veterinarian evaluations, foster family reports, and time spent transporting the Brittany) to make the BEST MATCH possible for both the Brittany and your family. Can you arrange for transport to my state? I am approved to adopt through another rescue? Unfortunately, we don’t adopt out of state. 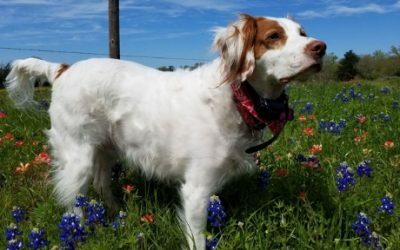 We are a small Texas rescue. We can’t accept the approval of other rescue groups – we require one of our own volunteers to complete the home visit. 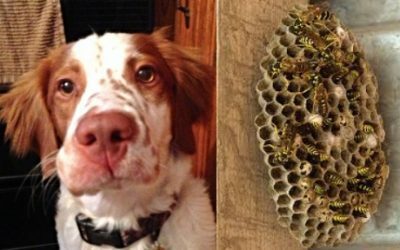 I see a Brittany on your site that I am interested in. How do I get more information about it? To get more information about our Brittanys, please complete an adoption application. The application does not commit you to that Brittany, but it will help us to be more thorough in answering your questions. 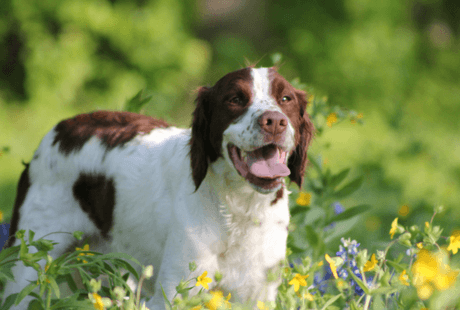 Having your information on file will assist us in finding the BEST Brittany for you and your family. 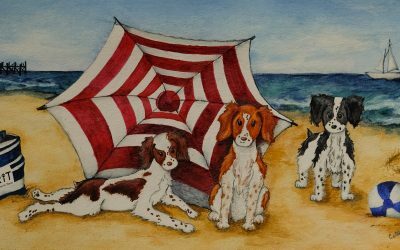 Sometimes we may suggest a different Brittany who might be a better match. Once your application is received it will be assigned to a BRIT volunteer located nearest to you. Our volunteer will call you to set up an appointment to complete a home visit so we can get to know you and your family. Visits typically take less than 30 minutes. 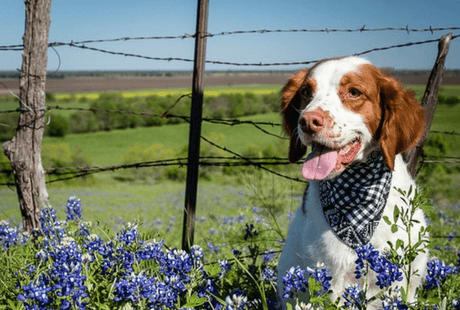 We will talk about how your new family member will spend their days/nights, and assist you in identifying any potential hazards for your new Brittany. Please be aware that occasionally we have more than one applicant interested in the same Brittany. 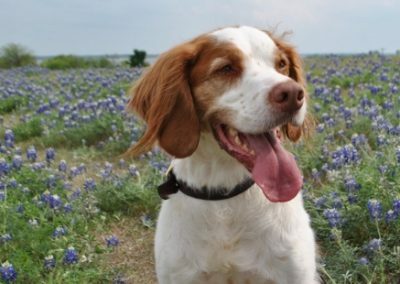 In that case, the home best suited for the Brittany will be chosen for placement. 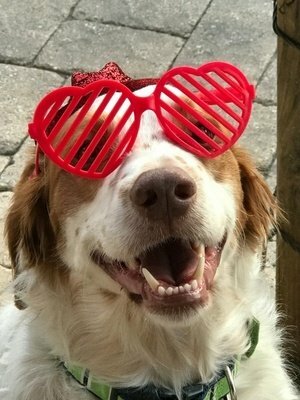 BRIT does not do adoptions on a “first come, first served” basis, and in many cases we may make a recommendation depending on your circumstances. 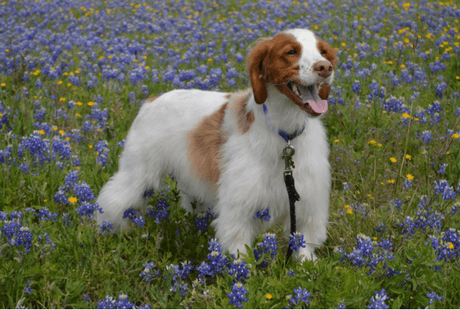 If we feel a particular Brittany is not a good match for you and your family, please do not be offended by this. 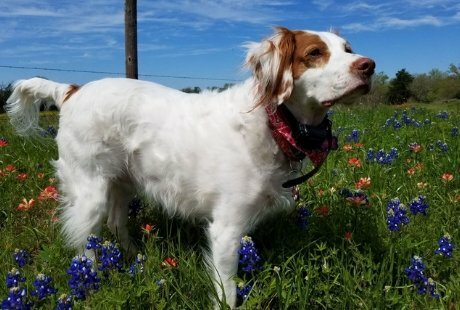 BRIT does not take the placement of a Brittany lightly, and we strive to do our best to ensure that each placement is forever, as many of these wonderful dogs have led very unstable lives before coming into rescue and we only want what is best for them. Upon adoption BRIT will have you sign our adoption agreement, and pay the adoption fee. 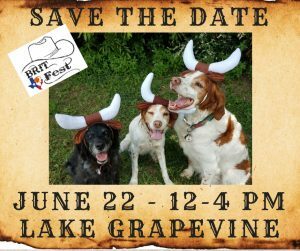 Because we are a small Texas rescue, we can only process applications within The Great State of Texas. 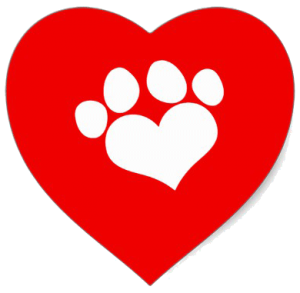 What does my adoption fee cover? 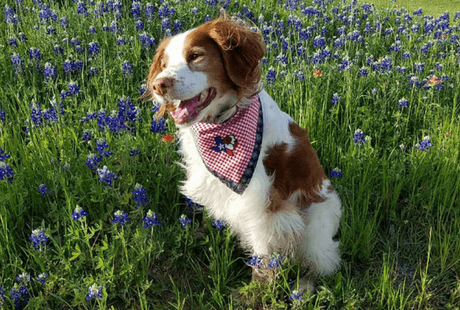 SENIORS: Check out our Senior-to-Senior page for information about adopting an older Brittany. Do you have a shelter where I can come and see the rescued Brittanys? 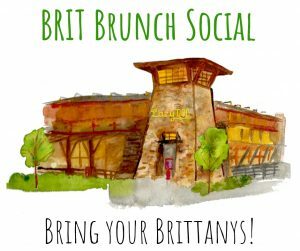 BRIT does not have a shelter that houses our Brittanys. Our Foster Family volunteers have opened up their homes all across The Great State of Texas where our Brittanys live as part of their family until they are adopted. Your Brittanys know how to have fun and so do we! 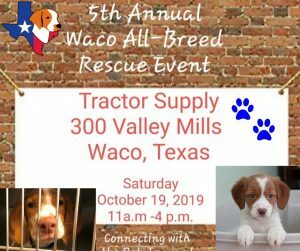 Be sure and check out Facebook page for more events.